Since 2005, when Steve Wynn started the last and largest building-boom, Las Vegas has seen some hard times; however, high-rise, condo, hotel, mixed-use, adaptive-reuse and other projects in the Las Vegas area are still in various stages of planning, development and construction. The Las Vegas Strip is boasting the latest in new-urban architecture, design and technology. LEED certified "Green" buildings are making an entrance as well as world-class architects. Even through the economic slowdown, the downtown area is becoming a sustainable, modern, urban	city. 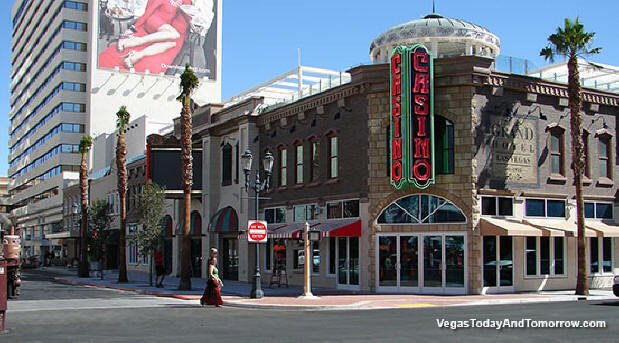 Downtown Vegas is becoming livable and sustainable with transportation projects ,condo and loft residences ,new markets, galleries, theaters, museums, shops, nightclubs and bistros. The downtown Mid-Mod neighborhoods are being renovated and revitalized house by house. VegasTodayAndTomorrow.com is a comprehensive collection of news, plans, maps of Las Vegas, and renderings of proposed and future projects in the Las Vegas valley. The site has over 7,000 photos on over 200 organized pages of developments under construction as well as future projects. The Downtown Grand is now open in what was the old Lady Luck.